The "nuclear deal" or JCPOA lacks a universally recognized version, coming in three different versions, two in Persian and one in English -- with significant differences between them. Next, it was negotiated between Iran and the so-called P5+1, a group with no legal status, no mission statement and no accountability to anyone. Thirdly, it was not signed by anyone, and no Cabinet and no legislature ever debated, let alone legally approved, it. Finally, both Iran and P5+1 have repeatedly violated key aspects of it. The JCPOA fan club, which still includes former US President Barack Obama and his sidekick John Kerry, pretends that the only alternative to the fudge they market is an invasion of Iran by the United States. Whether one likes Trump or not the fact is that when he says that the Emperor is naked he is telling the truth. It is quite possible he says that to vilify Obama. But that does not change the fact that the witches' brew that Obama cooked is laced with poison. Listen to the so-called "moderate faction" in Tehran and you are likely to hear a litany of woes, echoed by some European circles, about alleged attempts by the Trump administration to push the Middle East towards a new war. The leitmotiv is the claim that the so-called "nuclear deal", also known as the Joint Comprehensive Plan of Action (JCPOA) is an almost sacred text that should be neither amended nor improved. "We shall not accept an iota of change in this text," says Iranian President Hassan Rouhani. "There is no alternative to JCPOA," echoes Federica Mogherini, foreign policy spokeswoman for European Union. As for Alistair Burt, the man in charge of the Middle East in the British Foreign Office, the so-called "nuclear deal" is an "unalterable text" that cannot be renegotiated let alone revised. What is so special about JCPOA that we should treat it as a sacred text with one single unalterable version? After all, even synoptic gospels, not to mention Saint John's Gospel, offer different narratives of the same body of memory, doctrine and belief. In a secular context, all national constitutions are open to revision and amendment. For example, the US Constitution has been amended no fewer than 27 times. Sometimes a whole national constitution is consigned to the dustbin and replaced by a new one, as has been the case in France five times in a century. Mogherini's native Italy, created as a nation-state in 1861, has had no fewer than six constitutions in its short life. Burt's United Kingdom has never had a constitution, plodding along with tradition and compromise. Compared to the documents mentioned above, JCPOA has a lesser claim to sacredness. To start with, it lacks a universally recognized version, coming in three different versions, two in Persian and one in English -- with significant differences between them. Next, it was negotiated between Iran and the so-called P5+1, a group with no legal status, no mission statement and no accountability to anyone. Thirdly, it was not signed by anyone, and no Cabinet and no legislature ever debated, let alone legally approved, it. Finally, as we have shown in several articles, both Iran and P5+1 have repeatedly violated key aspects of it. Iran is still subject to heavy sanctions while, among other violations, it has failed to send all its stock of enriched uranium outside the country and shelved the redesign of its plutonium plant with the excuse that it finds no partner to help it do so. Rouhani complains that the P5+1 have not honored their part of the bargain. Mogherini forgets the fact that ENI, the oil giant in her native Italy, has reneged on an energy deal with Iran while Danieli, Italy's steel giant, has jettisoned a $5 billion contract to the dustbin, in direct violation of the JCPOA. As for Burt, his government is still unwilling to allow Iran's embassy in London the right to open a bank account so that it doesn't have to pay its employees in cash. Last week British Petroleum dropped a joint venture with Iran. The UK still refuses to unfreeze upwards of $2 billion in Iranian assets while China, a P5+1 member, is sitting on $22 billion worth of frozen Iranian money. "The choice is between the deal and war," Kerry muses as he tours the world to lobby for Iran. But why should we reduce our choice to swallowing a lie for fear of an imaginary war? To be sure, the Iranian nuclear problem should be solved so that Iran can resume some kind of normal existence while the rest of the world is reassured that it won't face a nuclear-armed rogue state. The existing JCPOA does not deliver on either of those accounts. However, a new, revised and improved JCPOA may just do that. But that would require jettisoning the Obama "lie" and renegotiating a new text. Any future negotiations should be done within the transparent system of international law, that is to say between the UN Security Council and Iran as a member of the United Nations. If the UNSC so wishes, it could appoint the same P5+1 as its negotiating side with a clear mission statement and transparent accountability. The P5+1 would no longer be a posse chasing a fugitive, i.e. 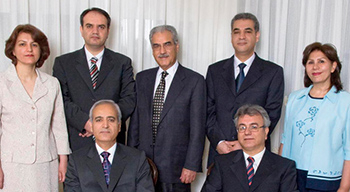 Iran; it would be a legally appointed sheriff seeking to bring a suspect to justice. Next, the new negotiations would have to take place within the rules of the International Atomic Energy Agency (IAEA) and the Nuclear Nonproliferation Treaty (NPT), both of which Obama circumvented, and the framework of seven unanimously-passed UNSC resolutions, and, again, haughtily ignored by Obama. Fresh negotiations would establish a single new text, part of which borrowed from segments of the existing JCPOA, in all the official languages of the UN with the exactitude that the JCPOA lacks. Once a clear text is established, it should be submitted to relevant parliaments, including the US Congress and the Islamic Republic Majlis, for ratification to give it the force of a treaty, something that the JCPOA lacks. Provided she is still in her European chair, Mogherini could invite the European Council to ratify the new treaty. 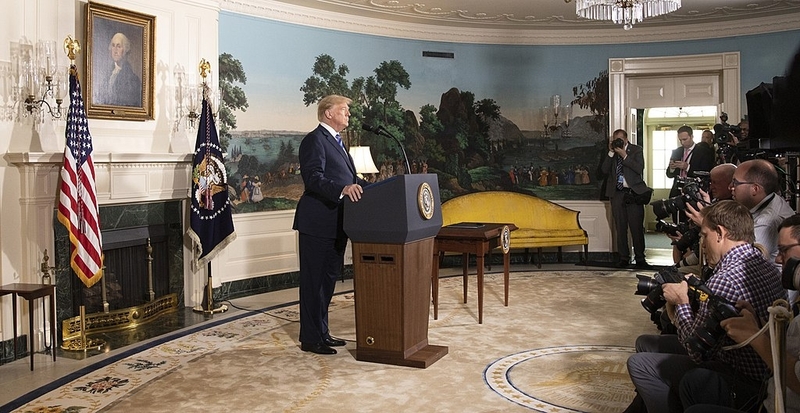 A legally binding treaty, backed by international and national law, would not permit a la carte implementation, as is the case for the JCPOA, which allows the Trump administration to "walk out" of something into which it had not walked. More importantly, it would block Iran's path to playing games with implementation with 1001 excuses, some valid mostly not. Whether one likes Trump or not, the fact is that when he says that the Emperor is naked, he is telling the truth. It is quite possible that he says that to vilify Obama. But that does not change the fact that the witches' brew that Obama cooked is laced with poison. Let's not use the excuse of an imaginary war to market a false peace. Let's prepare for a true settlement of the Iranian nuclear dispute. Let's get serious. The JCPOA is pretty typical of work done by unaccountable bureaucrats who are unable to manage their own domestic affairs. "If you like your doctor, you can keep your doctor". Kerry is simply a malignant fraud who refuses to relinquish power, even when removed from it. The JCPOA has been a fraud from the beginning, and while there may be more fake negotiation, there will never be a real and legally binding treaty as Taheri suggests. The Iranians would never have agreed to anything that would actually impede their arms program, even without officially acknowledging they agreed. The present deal leaves them free to do whatever they like, as long as they do it away from the few places subject to inspection, and lie about it -- and they probably are. It was a great deal for Iran -- huge amounts of money, no sanctions, and nothing to really stop them from doing whatever they want. The Europeans seem to be interested in nothing but getting the sanctions out of the way, so they can do business with Iran. They are evidently too stupid to understand that the great future danger that this lunatic, Islamist regime would pose with deliverable nuclear weapons is as much a danger to them as anyone else. They are incensed that Trump is taking action that may very well save them. Respectfully, this article has to be the clearest and most comprehensive one regarding the JCPOA, which is at best or at most, merely a Press Release, of no legal status whatsoever. Mr. Taheri has again written a magnificent work. I view the highly flawed JCPOA as a desperate attempt by Barack Obama to make what he considered to be a significant contribution to world peace thereby bolstering his meager legacy as President and validating the controversial decision by the Nobel Committee to award him the Peace Prize at the beginning of his Presidency. Obama's massive ego and hubris along with John Kerry's weak negotiation skills are directly responsible for the existence of the poorly crafted JCPOA. P E R F E C T Mr Taheri! This realy is an action plan!